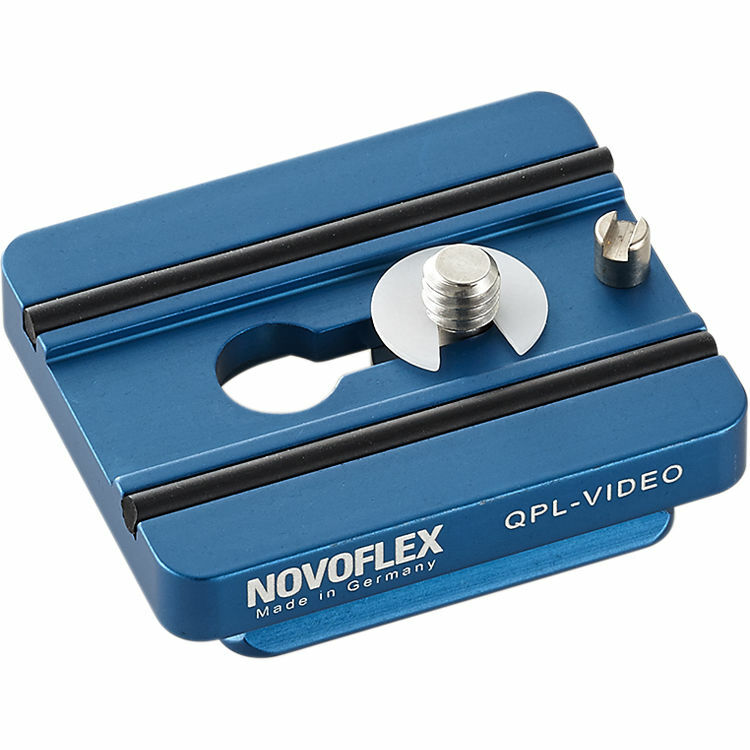 The Novoflex QPL-Video Arca-Type Quick Release Plate for Q-Base System is a Q=Plate series quick release plate that fits any Arca-type quick release system (except the Arca Swiss Flip-Lock). This plate comes with a choice of both 1/4"-20 and 3/8" camera mounting screws, and features a video location pin that prevents the camera from twisting when in vertical position. The bottom edges are dovetailed for smoother loading and unloading from the clamp, as well as less abrasions. The screws of the Novoflex plates work with both traditional flathead screwdrivers as well as with 5/32" Allen wrenches. Note: The Novoflex Arca-type quick release plates are thinner by the slimmest of margins than Arca-Swiss quick release plates. They are not recommended for use in the Arca-Swiss Flip-Lock quick release clamp. Box Dimensions (LxWxH) 5.3 x 2.8 x 0.9"
QPL-Video Arca-Type Quick Release Plate for Q-Base System is rated 3.0 out of 5 by 1. Rated 3 out of 5 by sensencw from nicely made, but trouble with Benro head The plate is very nicely made, but about 3 mm too small on the mount side to solidly fit into a Benro B1 head. So I had to mount another clamp on top of the head to lock things down.